I just downloaded the updated Pinbrowser for Pinboard from the App Store, an iOS app by Mikael Konutgan (@mkonutgan), and it just got a whole lot better. Pinboard is a paid for bookmarking site that focuses on speed, utility and longevity (and anti-socialness!). 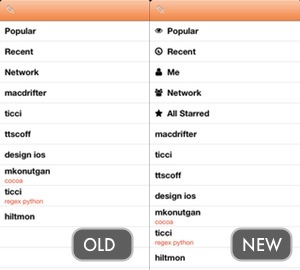 Pinbrowser is an iPhone and iPad application to access your Pinboard, other’s bookmarks (making it more social) and the all famous popular bookmarks list. It’s the social aspect that attracted me to the product in the first place. I love to see what other people I follow on Twitter and App.Net are finding on the Internet in their travels, and the ability to browse their Pinboard lists is the stand-out feature of Pinbrowser. In this release, Mikael has gotten down to spotlighting the key uses of the application by adding new icons to separate the standard sidebar items from user added ones, a Me list for your own bookmarks (strangely missing from the original) and a lovely new feature, the All Starred list. Oh, and the new icon is brilliant! 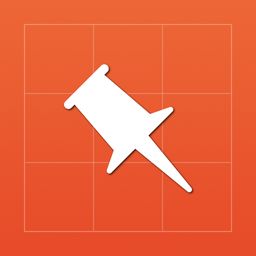 If you use Pinboard, Pinbrowser for Pinboard on the App Store for the iPhone or iPad is a lovely one-thing-well app that you should consider.